TheCoplandRoad.org: For the fans, is it time to take a step back? It’s been yet another uncomfortable time for Rangers supporters recently. Rangers Football Club would appear to be in an endless state of flux with a constant stream of revelations, leaks and accusations; mixed with a generous helping of hyperbole, lies, nonsense and half truths. But is this really a time to start swinging the axe in the boardroom? It is clear that there is a split in the boardroom, Malcolm Murray and Charles Green clash, no question. In the middle of all this is a truth. It is going to be down to certain interpretations of that truth and how it is used that decides who is going to be in the boardroom at Rangers. That truth may be unpalatable for some; especially some who simply did not have the stomach for getting down and getting dirty with Craig Whyte in the battle last year to save the club. It simply will not be a straightforward tale of clear wrongdoing or being absolved of all guilt. At the end of it all, we may be offered a very big dose of sanctimonious and hypocritical pontificating. I hope I am wrong. But before we get there I would like to address a few myths that seem to have gained pace fuelled by the usual suspects and some journalists. 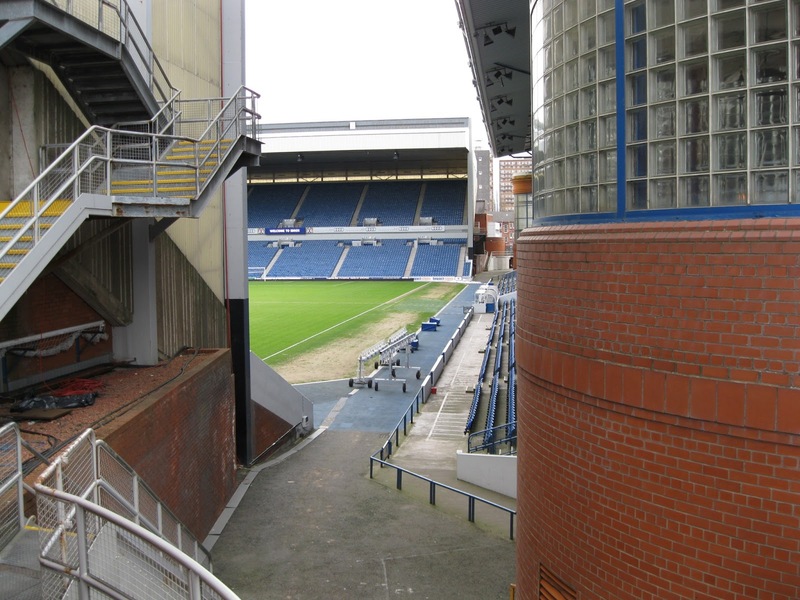 There have been constant accusations about Rangers finances since the successful share issue. One is that the shares are promissory note shares. Put as simply as possible, these shares are issued on the strength that in some point in the future , the share issuer can then go to the buyer and ask for the money. This was aligned with rumours like Rangers had only £400,000 in the bank, were soon to be subjected to a winding up order, will enter MVL etc etc etc. Let us be clear on this. Rangers’ shares are all fully paid and issued. All cash has been received. Cenkos raised it. Delloites audited it. It was announced to the stock exchange. How a club with £22 million in the bank is the subject of constant rumours of impending insolvencies is totally beyond me. Then we had a rather insidious hint from Keith Jackson in a Daily Record article about a Singapore connection and money being “shuffled” around the world. I am not sure what or who drove Jackson to write this stuff. What I can say is that Rangers’ money is deposited in Metrobank, based in London. This is one of many attempts by those who wanted the club dead and thought the club was dead to cause further damage. It also unfortunately has a whiff of coming from somewhere closer to home. It sells newspapers, sends social media into frenzy and gets people lifting the phone to football call in shows. You have a choice here; you either believe that there is some sort of financial shenanigans at work which would be the most obvious of crimes (as it would be when accounts are published). This would be a fraud so audacious and grand that it would make Craig Whyte look like a Farmfoods shoplifter. Or, you accept that there has been a deliberate campaign to hurt the club from various sources and Rangers have the cash raised in the issue and it is being looked after with the due professional diligence and integrity required . Let’s now turn to Charles Green. His interview in The Sun where he made use of the “P” word was very ill judged. You really don’t need any media advice to know that was a no no despite any reasoned argument he was trying to make around political correctness and racism. Why Mr Green decided to tell us his relationship with Mr Ahmad is like an old repeat of “Love Thy Neighbour” is something that baffles me. He certainly needs to address his “bluster” and indeed things like his claims of EPL backing distracts from the fact that Charles Green is probably the Rangers’ CEO who has been the most successful in moving forward the argument for Rangers going to England. No doubt he has contacts but off the record discussions should stay there until there is something concrete. But is he being treated fairly in all of this? A great deal was made of the story that Green had asked Ally McCoist to effectively sack his coaching staff but stop and think why Green did this. Show me a single Rangers fan who thinks Rangers have played well this season. There has been massive criticism of tactics, team selections fitness and signings. The mentions about not going back and not renewing season tickets will alarm Green. Football writers, bloggers and fans have panned performance after performance. It is also worth remembering Green wanted to concentrate on bringing through young players when he spoke last year. Targets like Kenny Miller and Jon Daly suggest that philosophy differs from the coaching staff. The question is who thought it was a good idea to let the Daily Record know what had happened and for what purpose? Many managers have fractious relationships with chairmen, CEOs and boards. Who gains from leaking that? It does the fans and the club no favours. But at least no one at Ibrox seems to be taping conversations and that brings us nicely to the Craig Whyte recordings and documents. When it comes down to the business end in any of Whyte’s arguments or projects, it usually ends up with a debris trail and some sort of legal wrangle where the person sitting in judgement casts further aspersions on his character. 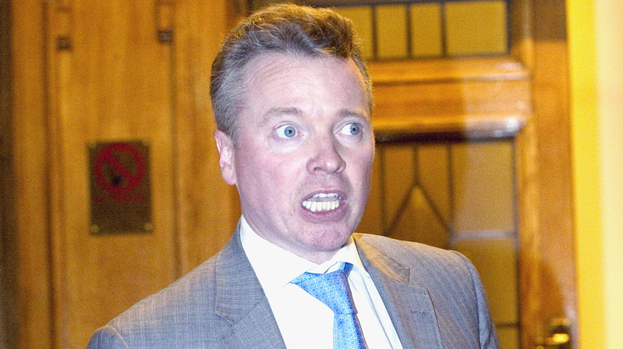 Whyte is not put off by this; he is simply going to keep going. What needs to be accepted is that this was the man that was in control of Rangers during the darkest hours and nothing, absolutely nothing could be done without his consent. His contribution to Rangers’ crash was immense and he wanted some seven-figure profit for doing it. The Blue Knights and all the others tried and failed to deal with him. The men who did deal with him have admitted they strung him along and got the club off him are now the men under fire and I think that is wrong. There needs to be scrutiny and questions need asked for sure. A clean and full explanation would be great but I am not sure if this is the right time for it. I have no doubt now that Whyte will produce more. The question is did Green and Ahmad surreptitiously always mean to include Whyte? Did they act as a front for Whyte? Or did they do what needed done to get the club off him. That is the crucial question. What is important is that Whyte has not a penny in Rangers. What we have seen is him being battered from pillar to post recently as his reckless business dealings come home to roost. A devastating financial judgement that will ensure a company with a £2billion portfolio and the best lawyers money can buy has now set a course to pursue Whyte and pursue him again and again for everything he has. Various premises included his homes have been raided in relation to a criminal investigation initiated by Duff and Phelps. BDO have still to have their say on how he acquired the club and how he ran it. Craig Whyte is on a desperate position after months of threats and blackmail failed. Green and Ahmad are the guys who raised £22 million of investment in a Scottish Third Division club operating in an uncertain market in the midst of a recession and with various ongoing legal battles surrounded by hapless administrators. For me, that was outstanding. If some Rangers men who didn't fancy getting their hands dirty or could not get the measure of Whyte now want to sit in judgement of Green then they should perhaps think again. The biggest damage that can be done to the club is fans losing faith. If season tickets are not renewed because of a fear of the unknown or scaremongering, and if people stop going to games then there will be financial crisis. Let us hold our nerve and back the club and in return let the board act in the best interests of the club.